My personal journey traveling responsibly and sustainably is constantly evolving. With every trip, I learn something new about maximizing my positive impact and offsetting my negative impact in the regions I visit and the people who live there. Earlier this year, time spent in Parque Nacional Torres del Paine was particularly influential. During my time in southern Chile, I met the director and coordinator of the Torres del Paine Legacy Fund and spent time in Torres del Paine with the organization, alongside the Legacy Fund’s team, other volunteers and park rangers. In doing so, I gathered information from locals and foreigners on best practices for responsible, sustainable travel in the region. We’ve all heard it before: To ensure your money supports the local community, travel with local tour operators, stay in local hotels, and dine in local restaurants. But when you’re visiting a region you’re not totally familiar with, making decisions that have the best impact on the local community isn’t always easy. The key is to first decide what kind of impact you want to have. Do you want to support those who were born, raised, and continue to live in the area? Do you want to support those local to the overall country? Do you want to support foreigners, who perhaps have settled in southern Chile and are supporting the local community there? As a traveler, you set your own terms and choose how your decisions make an impact and, perhaps most importantly, who they impact. In getting to know the Legacy Fund, I learned that looking for organizations dedicated to collaboratively addressing local issues is a solid first step. You can support those organizations directly as an individual and also check to see if the tourism businesses you’re interested in patronizing are doing anything to support their work. The Legacy Fund works with both local and foreign stakeholders to finance and implement sustainability projects in the area, and on its website, the organization lists businesses and fellow organizations that are collaborating in these efforts to preserve, support, and celebrate the park and its surrounding communities. In my case, the Legacy Fund recommended Erratic Rock Hostel, a partner of theirs, for lodging—and it didn’t disappoint. On your own, you can research before you embark on your trip to find businesses that match your commitments. While a wealth of information isn’t always readily available online, a quick email or phone call can give you good insight into how a business operates—if you ask the right questions. 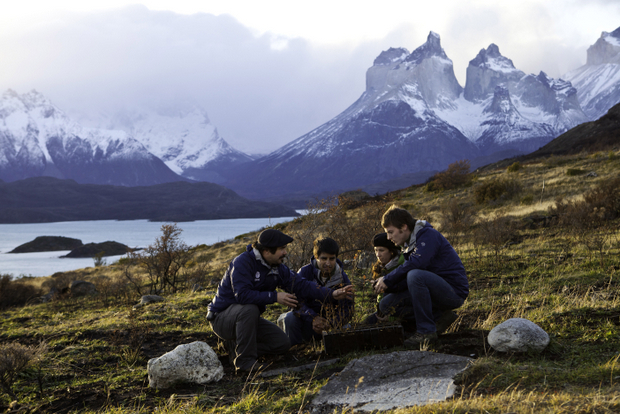 “Ask [the business] what they’re doing to give back: ‘How will my patronage benefit the destination and not just you as a business?’ Part of traveling responsibly is asking those questions,” says Emily Green, director of the Torres del Paine Legacy Fund. For example, in Torres del Paine, EcoCamp Patagonia is the region’s first fully sustainable accommodation south of the Amazon and is one of the first and only places in the park that operates with renewable energy. Between the low-impact design of its domes, the use of composting toilets, micro hydro power, wind power, recycling, and the minimization of garbage and waste, EcoCamp leaves no trace in Torres del Paine. Cascada Expediciones, EcoCamp’s tour operator, also offsets all carbon emissions through the international organization Carbon Fund. This means that once you arrive in Punta Arenas—a town south of Puerto Natales and the town with the largest airport near Torres del Paine—if you’re traveling with EcoCamp, you need not worry about the carbon footprint of your trip. 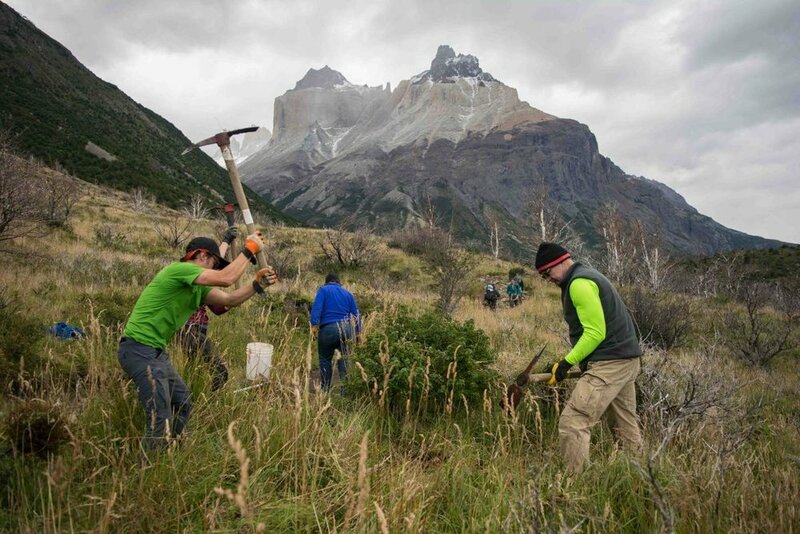 As part of my travels, I volunteered in the park with the Torres del Paine Legacy Fund and Conservation Volunteers International Program. The organizations provide opportunities for volunteers to assist with projects in the park. Trail construction and maintenance projects as well as conservation initiatives allow volunteers a unique, immersive experience within this world-renowned national park. Our group’s time was split between two projects. We worked on the construction of a new trail in the park as well as removing an invasive plant species from part of the park. Our group of American and Chilean volunteers worked alongside park rangers and got to know more about the park through conversations and time spent with them. Spending time in nature also avails volunteers to moments of personal growth and forms a unique bond among the group, creating new memories and lasting friendships—all rooted in leaving a positive trace in a remarkable place. Our group was in the park together for 10 days. Every day, we had breakfast, lunch, and dinner together, and we all camped in tents together. Voluntourism often gets a bad rap, so when you’re trying to find opportunities, do your research to ensure your support as a volunteer will actually be beneficial to the community. If you’re going through a voluntourism operator, see what links they’ve had with the local organization they’re collaborating with and ask how long they’ve been working together and how successful it’s been. You can even reach out to the local organization to verify the collaboration. Wherever your travels take you, talk to people. It’s good to share time and conversation with others—like park rangers and business owners—who know the place you’re visiting well. Sharing experiences with others allows us to better understand the places we visit, the world, and, as cliché as it is, ourselves. Often, the biggest takeaway for me is a better understanding of other people; their lives, work and passions; and the communities in which they’re based. From the Torres del Paine Legacy Fund to the staff at Erratic Rock to the park rangers in Torres del Paine, I’ve come to better understand what Torres del Paine and Puerto Natales—the people, communities, and environments—are up against, not the least of which is rapidly growing tourism. 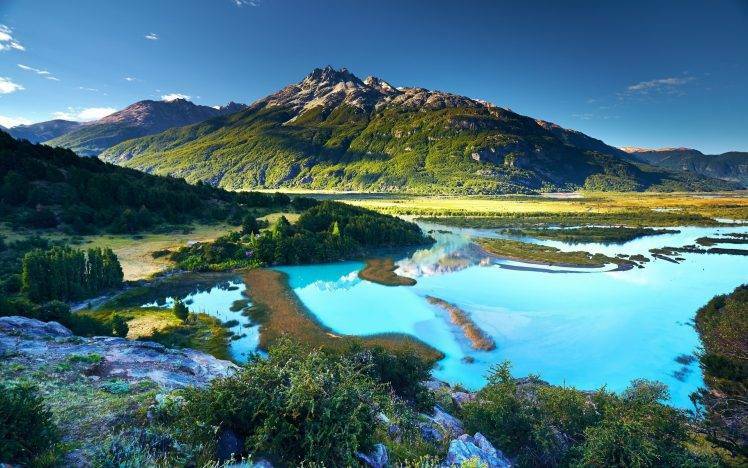 According to CONAF, Chile’s national forest and parks administrator, Torres del Paine had 128,396 visitors in 2007 and 252,447 visitors in 2016. That’s a growth of 96.61 percent in nine years. Tourism is big business and can be life-changing for some regions. “Tourism is one of the biggest industries in the world right now. It contributes 10 percent of GDP worldwide. So when you’re looking at where you can make sustainability advances that can have real impact, tourism is one of the places where every individual has a lot of agency,” Green says. Giving your business to tour operators, hotels, restaurants, and other companies that support such initiatives, can go a long way, but you don’t have to leave a place you love behind when your trip is over. I recommend waiting to make a donation until the end of your travels or once you’re back home. I find it’s best to have visited a place, know firsthand what it’s up against, and know what it means to you. Waiting until after your trip also gives you a chance to talk with locals and personally vet organizations while you’re on the ground. You can see and learn about the work being done there and decide where your money will go furthest. In the case of Torres del Paine, I suggest looking into the Torres del Paine Legacy Fund, AMA Torres del Paine and the two organizations’ current campaign, Tu Mejor Huella para el Paine, to restore the Base Torres Trail, the park’s most popular trail. As travelers, we are in control because businesses tend to cater us. So when we respectfully make it clear that we want something, and if enough people speak up, we can positively evolve the travel and tourism industry to care for the people, communities, and environments in which they operate. Wherever your travels take you, responsible travel starts with doing your research. Find and support businesses and organizations that are explicitly dedicated to local conservation and sustainability. Globally, Sustainable Travel International and Conservation Volunteers International Program are two good places to start.